Category: 2018 year in review! 2018 THE YEAR IN REVIEW! It was an amazing year! 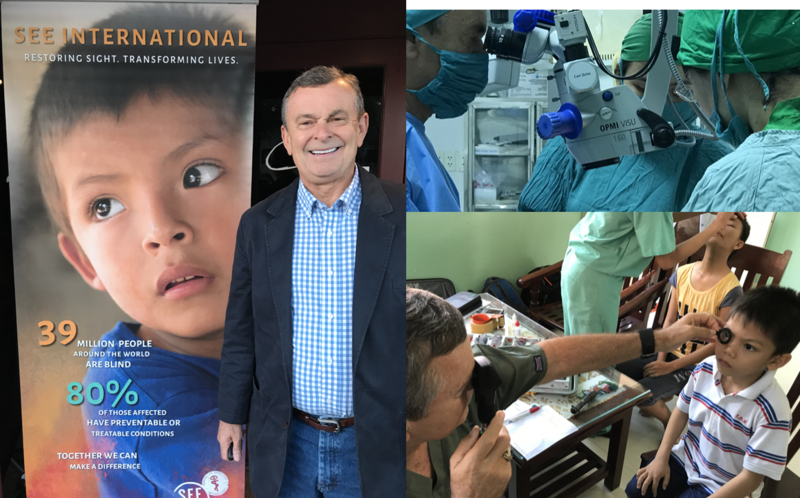 Dr. Edward Kondrot, The Humanitarian Eye Surgeon With a Heart❤️🧡💛 We had a great year! The youngest person we operated on this year is this 5 years old boy in Monrovia, Liberia, Africa. He had an accident where a stick poked his eye. A pocket of pus has formed in his eye. We admitted him immediately. He had to be under general anesthesia for his procedure. If the pus spreads all over his eye and it gets infected he risks loosing his whole eye. His family is very poor and can’t afford any kind of health care. We kept him in the hospital 7 days post-op even though he could have been released one day after surgery. We wanted to make sure he has food to eat 3 times a day and a clean bed to sleep in. We released him on the last day when we are about to leave Liberia. We felt he has a better chance of recovering fully if he can be cared for under more hygienic condition and be fed even if it’s only simple hospital food. The best news is:We saved his eye! The oldest patient we operated on was this 88 years old grandmother who has been blind in both eye for 30 to 40 years. She is so happy now that she can see again. She can see her grand children and great grand children for the first time! She is beyond happy! She is from the farming area and was in driven in by bus to be operated on by us. She is doing wonderful with her new eye sight and her new life! The young patient with the most beautiful voice belongs to this young blind girl. She came to us in Tepic city, Mexico. She sang a beautiful song for her favorite eye doctor! The poorest group of patients we had operated on this year is this group of patients from El Salvadore. They live a very small houses, the size of a tool shed on dirt floor. They might or might not have electricity and they sleep on a hammock hung inside their small houses. It’s the first time they get to sleep on a mattress on a real bed as they recover after surgery in the recovery room. They are also the kindest and sweetest group of people we met on our journey doing mission work around the world. The award for the most caring supporting team this year goes to the team in El Progreso, Honduras. They would often carry the patient from the prep room onto the surgical table in their arms! Watch the video to see how loving they are toward the patients! Free surgery for the poor but the care is top notch! The Most Intense Patient Prayer Moment goes to this one patient in Haiti before her eye surgery. Laying on the surgical table waiting for her turn, she prays and prays so she can regain her eye sight! In the poorer area of Haiti, many people are hungry, many live day by day by selling a few mangoes they collect from trees. With no working sewer system, human waste often contaminates the water wells and garbage overruns the streets. Diseases are spread easily under such conditions. Being blind makes life ever so much tougher for these people. 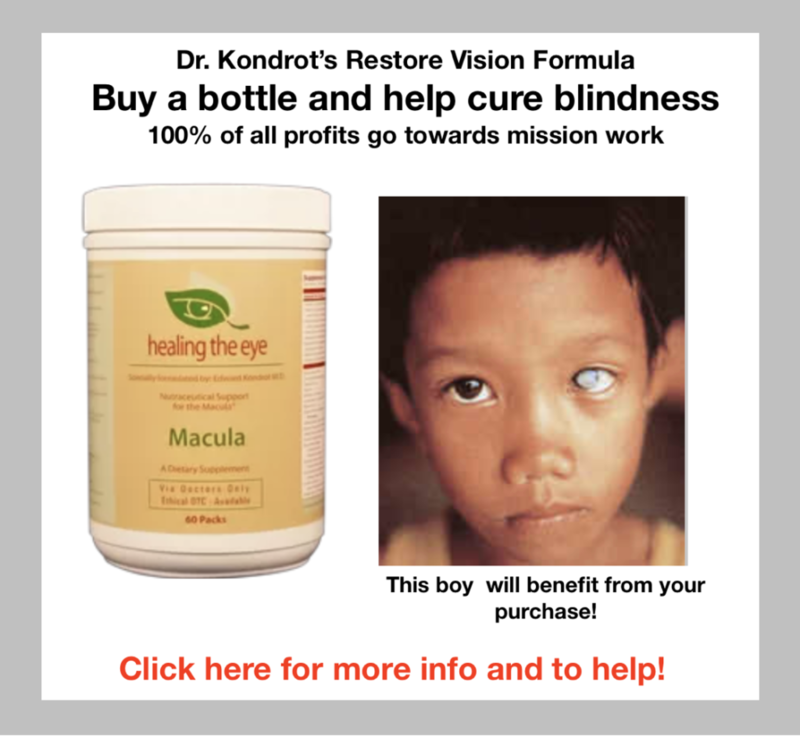 Helping them regain their eye sight, we hope to make life a bit easier for them with a better chance for them to take care of themselves in a one of the poorest country in the world. The Largest patient waiting room winner this year definitely goes to the waiting room at the Redemption Hospital in Liberia, Africa. There are close to 1000 people waiting to be screened! Some people walk 3 days to get to the hospital! Watch this video to get a feel of how crowded the waiting room can be in Africa! The best Team Prayer moment goes to our team prayer in Croix des bouquets, Haiti, the morning before our surgical procedure begins. 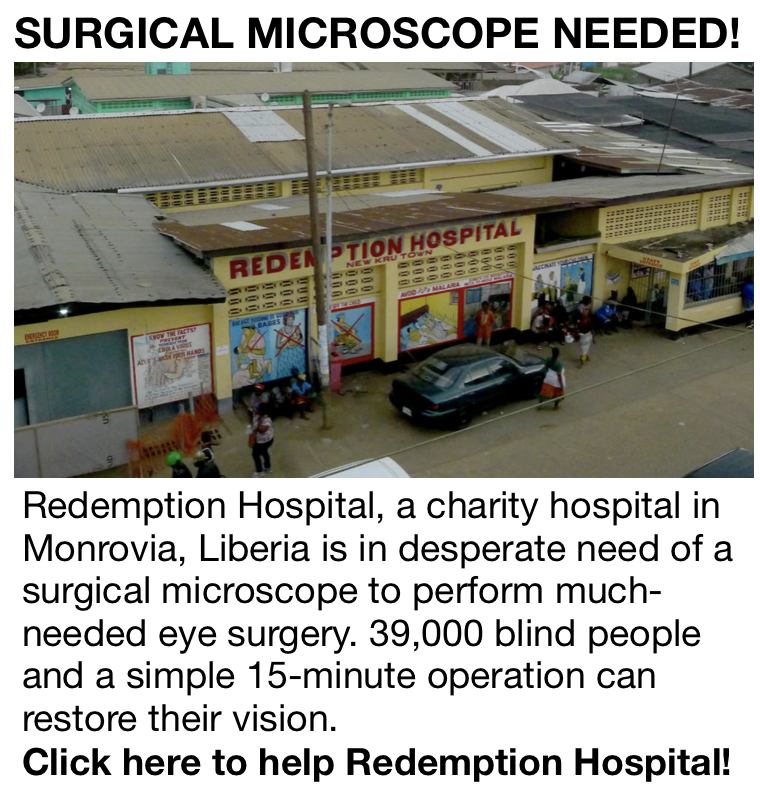 Led by Russ Montgomerry, an inspiring man who has dedicated his life to building facilities to provide eye care and eye surgeries to the people in Haiti, one of the poorest country in the world where there is no ophthalmologist to do any kind of eye surgeries. Lack of supplies also is a big problem. We do our best to train the local doctors and residents so they can pick up where we left and be able to help their own people but that prospect is still a long way away. The youngest ophthalmic assistant on the team this year is Miss Juliana Nguyen. She is 16 years old when she decided to volunteer to join us on our mission to Croix Des Bouquets, Haiti. She said the trip changed her life. She made a presentation about her trip to her graduating class and won the best graduating project award. She has decided to go to Medical school and folllows in Dr. Kondrot footsteps. We not only help the blind regains their eye sight around the world, we inspire a new young generation of future doctors with our work. The Longest Surgical Day on a mission trip this year goes to this day in Jodhpur, India. We start early in the morning and drive to a poor village about 2 hours outside of Jodhpur. We screened about 300 people from the village with eye diseases. The ones that need glasses, we give them what we brought along. The ones that need eye drops get a bottle of eye drops. The ones that need surgery get put on a bus, packed all in like sardines. This particular day we had close to 80 people in need of surgery. We drive them back to the hospital in Jodhpur and we prep them and begin the day’s surgery. We are committed to operate on all of them and check them out in the morning the next day and then drive them back to their home on the bus. Here we are at 2 AM and still working away. We have to get the job done and finished. You can see we still have a few more patients sitting on the floor by the surgical table waiting for their turn for surgery. In these remote very poor part of India, we are their only hope. There is no other eye doctor anywhere near to help them. The most endearing reaction award this year goes out to this grandma after her eye sight-restoring surgery. Her daughter took her in for her post-op checkup one day after surgery and reported that she did not sleep all night once she gets home after surgery. Instead, she danced all night. She’s so happy. She had pain in her eyes for 12 years. For the first time, her pain is gone. All night she danced and thanked God she has her new eyesight again. She has not been able to see for more than 12 years plus she has a lot of pain in her eyes. Now the pain is gone. She also has a new 3 years old granddaughter she has not seen and she can’t wait to see her face for the first time. She is so happy, so thrilled and so excited she just danced all night. We are so happy for her to see her so excited about her new life seeing again! The Most Memorable world peace moment for us this year happens on June 8 at 12 noon at Zacamil Hospital in El Salvador, when we stop all eye surgery and the whole team joins hands in prayer for World Peace. The Most Exotic Eye Exam scene this year goes to the exam day in the Jodhpur, India Eye campaign. Dr. Kondrot has to check many pairs or eyes under the veils. The ladies in the villages in this area all wear their veils to cover their faces. It’s their custom and we have to respect that. However, we need to get to their eyes to really diagnose their eye disease so it’s quite a delicate job for the eye doctor to give an eye exam to the ladies in this area! The patient with the most anxiety as she awaits her surgery is this young girl in Honduras. She cries the whole time as she awaits her procedure. She was beaten and abused. She lost one of her eyes. Unfortunately, without proper care, her eye is now closed shut due to scarring. Dr. Kondrot has to clean up the scar tissues and open up her eyelids so a fake eye can be inserted and with that, she will have a more normal looking face with a normal working pair of eyes. She will regain a new life, with more self-confidence and will a life with less stigma. She was a one-eyed person with one eye closed shut. After the operation, she will be a more normal person with both eyes operational. She is very excited but very worried. She can’t believe it is really happening for her. That she will finally be having a normal looking face once again. The nurse is so kind. She calms her down with prayers. Even though the poor patient sobs through the prayer and preparation procedure before she gets taken into the surgery room. After one week of free surgery in Guayaquil, Ecuador, it’s payday for us today! The farmers brought in potatoes, bananas, mangoes! The ladies bake cookies and bread for us. Some sew us seat covers for our cars. We treat their eyes. They give us back so much love and appreciation. All from their hearts. They tell us: we don’t have any money to pay you. God will pay you for us! Bless their hearts! So much love spread around in the hospital today. Many people find a new life with new eyesight after 20 years of blindness. We are so happy we were able to help them. Of course, we can’t bring any fresh fruits and vegetables home. Everything is donated back to the poor and hungry as Christmas gift. The nicest way to come into work every morning on a mission trip is at the Hospital Militar in Guayaquil, Ecuador. The patients give Dr. Kondrot an ovation of applause as he comes in every morning! They appreciate his gift to them. These are the sweetest and nicest group of patients we have operated on this year. They are so warm and so loving and very appreciative of the care they are getting from us. This longest and toughest journey to get help for their eyes belongs to this pair of mother/daughter who walked 3 days to get to Redemption Hospital. Once they get to the hospital they sleep on the floor in a house nearby. They waited for 3 days and almost gave up all hope to be seen by a doctor when suddenly they got called in to be screened and the mother got admitted for surgery. They are very happy. They have waited for 12 years. The mother cannot do anything to help herself due to her blindness. In their own words, they pray: Dear God, my mother has no food to eat, at least please let her see so she can go do something to help herself. they are so excited that their prayer has been answered! The bravest patient on our mission is this young boy in Honduras. He has an accident and his lost vision in one eye. We need to operate to repair the traumatized eye. We do not have general anesthesia at this site. The young boy was scared but he was brave. His surgery was successful. Here we are trying to get him to relax and smile for the camera after the surgery! The largest post-op group instruction was given to 100 people in the hall of the Militar Hospital in Guayaquil, Ecuador. We did not have time for one on one instruction but it is very important for us to remind them to take care of themselves, get some rest for 2 weeks to let their eyes heal. Here is a look at this year’s sample of hard white cataracts that we operated on. These cataracts are so mature and dense that they are not only making the person’s eyesight blurry, but they actually make these people blind with only light perception. This means the person can only see a slight perception of light through their eyes and nothing else. Once the cataract is removed, these people can see again and go back to working and help support themselves and their families again. Here is a sample of the children we treated this year on our mission trips. They are always the highlight of our work. Giving vision back to a young child brightens up our lives as we know we are giving them so much more than just vision. It means many years of productive work as a person, a better life, improved self-esteem as they go through the young teen years. We are so happy to have been of help to these children! The most challenging eye cases we saw this year on our mission trip are presented here. They range from a tumor in the eye to traumatized eyes to damage caused by accident or car crashes. Some of them require reconstruction or other intervention such as x-rays or scan or tissue testing for cancer cells etc … Unfortunately, there are a large number of children in pediatric cases. We would like to extend the most heartfelt thank you to all the host doctors around the world who have hosted us and help us with all the in country local support for our mission trips. We also want to thank all the volunteers, charity foundations and nurses who have donated their time to help us with our work. A special thank goes out to the staff at Healing The Eye wellness center who has received, packed and help us with logistics and paperwork for all our trips. Without all your help it would have been very hard for us to accomplished all we had been able to accomplish this amazing year! This year we have touched the lives of these patients. We feel blessed. Honored. We did our best to give them back their eyesight. We hope they can have a new life, go back to work, be able to help themselves, be self-supporting and be free from all the limitations that blindness has imposed on their lives. Many grandmas are seeing their grandchildren for the first time. Many farmers are going back into the fields again. Many mechanics are working again. We are honored to have made a difference and to have given them hope for a better life. They touched us deeply too. Through them, we found the true meaning of the more we give, the more we receive. Give us your email address below, and we will keep you updated on all new posts!